The events in Odessa had finally put an end to my past life. After I heard the call to the Ukrainian “Essence of Time” to gather in Donetsk, I, having settled all matters as soon as I could, arrived to Donbass. 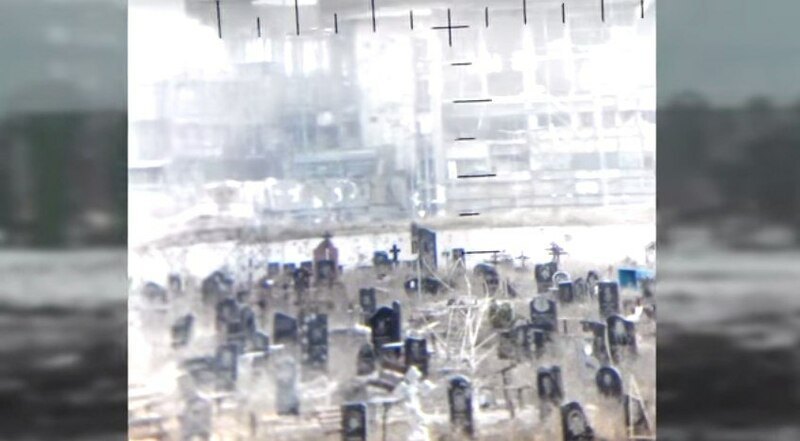 My first impression of Donetsk was twofold: first I encountered the representatives of the militia who inappropriately responded to my being from Kiev. Then Igor Yudin (callsign “Bolgarin”), who was the Donetsk People’s Republic Parliament member at the time, arrived to settle the situation. This way I immediately saw the environment in which I was supposed to live and work in, and the representative of Donetsk “Essence of Time” cell – one of the comrades, together with whom I will have to transform this environment. Meeting with Sergei Yervandovich Kurginyan (leader of Essence of Time” movement – Editor) in Donetsk enhanced the feeling that my comrades and I are at the tip of the global political process. Apart from that, Sergey Yervandovich described the structure of the mission in which we were supposed to work. A little over a week later my comrades and I have joined “Vostok” battalion. We have lived in vehicle bays for the first month, and even though the conditions of living were mediocre, we lived harmoniously. Due to certain circumstances, we had no combat training as such at first. We mostly did kitchen duties, did some hard work. Nevertheless, all our free time we spent gaining combat skills, doing informational-propagandist work among the civilians and the militia. The military situation around Donetsk deteriorated by August, the city was under the threat of being encircled. Then the leader of “Essence of Time” mission – Volga – described the situation at hand and proposed everyone who is prepared to take up arms to join the combat group (CG). Everyone joined, except for those who had to work in the “Essence of Time” Information Center due to their talents and specialized knowledge. After the CG was formed, training became systematic and was targeted at, taking into account the time pressure, the psychophysical preparation and making the unit a cohesive combat team. The group had its baptism by fire during the liberation of Panteleymonovka village. There, on the outskirts of this village, the group was also shelled by mortars for the first time. 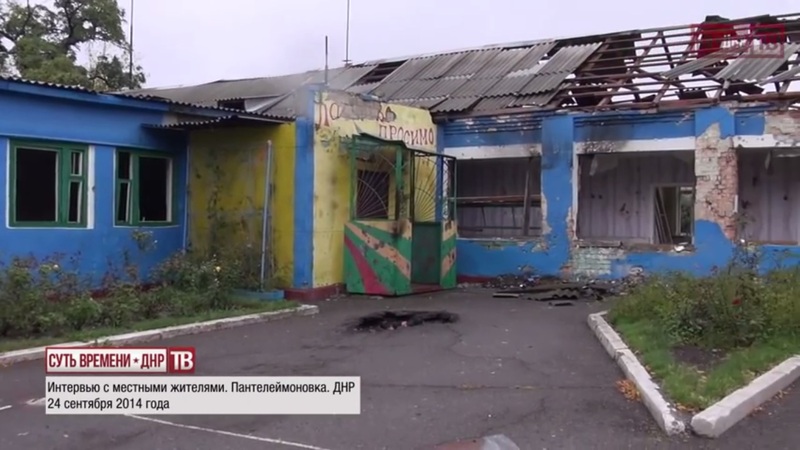 Kindergarten destroyed by Ukrainian punitive forces. Panteleymonovka, September 24, 2014. Approximately two months passed between our life on “Vostok” battalion base and the first combat operation. During that time other guys from the ranks of local militiamen joined our unit. Part of them left, but those who remained in the unit comprise its core. With a couple of rare exceptions, all of them are now in the unit, meaning they went all stages of our path together with us. My biggest impressions are the winter campaign (Donetsk airport), the miraculous recovery of Feldsher, who was heavily wounded during the January 17, 2015 combat. This entry was posted in "Essence of Time" unit in Donbass, Articles and tagged Antifascism, Donetsk, DPR, Essence of Time, Ukraine. Bookmark the permalink.